Giovana is a certified Forex Trader, International Motivational Speaker and Money Mindset Strategist who grew up in Peru. Eager for new adventures and learning opportunities, she is a decision-maker. Moving to Holland in 1997, she integrated smoothly whilst learning Dutch and studying bookkeeping. After her studies, she took on a job in the finance and controlling department of a major cocoa and coffee trading company in Amsterdam. There she discovered financial markets and realizing the variety of advantages the market offers, she embarked in 2014 on her personal journey into the world of trading and investing. Founder of Trading for Women, her business focuses on the three pillars of: money-mindset, wealth-creation and lifestyle. Giovana is passionate about encouraging women to take control of their financial future. She is also the Regional Director of the Global Woman Club Amsterdam, an international platform connecting professional women to promote their business, share their inspirational stories, build relationships and seek mutually beneficial collaborations. She has authored two books: “Trading for success: 8 secrets why women are better traders” and is co-author of the inspirational book “Phenomenal Global Women Club”, soon to be released as documentary film on PBS TV channel – Hollywood. Giovana has featured in international magazines such as “Star People” (Albania) and “Global Woman Magazine” (London). As international speaker she inspires women worldwide, she has been speaking in international platforms like London, Tirana, Paris, Stockholm, Oslo, Paphos, and Hollywood. In July 2018 she will be speaking at the Global Woman Summit in New York, sharing the stage with top international speakers, as well as with Les Brown, known as the World’s #1 Motivational Speaker. 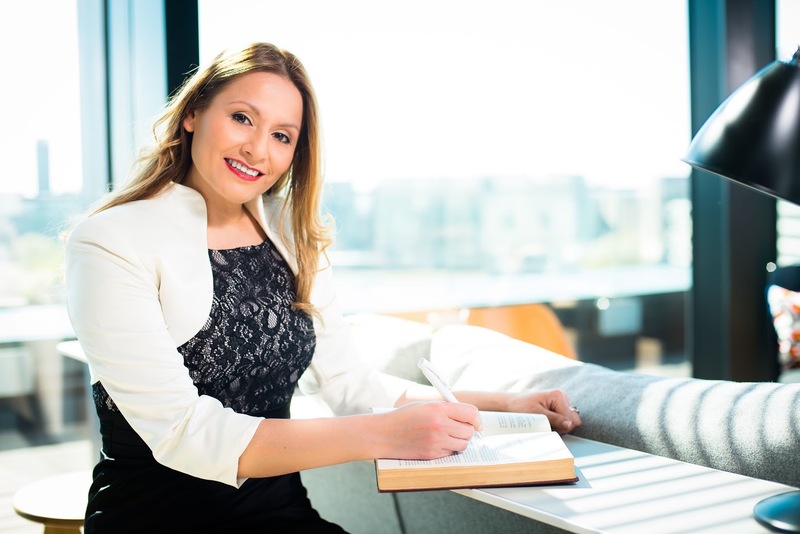 In 2016, Giovana completed her training program as trader on the foreign exchange market and received her certificate from the University Rey Juan Carlos and Forex Duet Academy, Madrid.